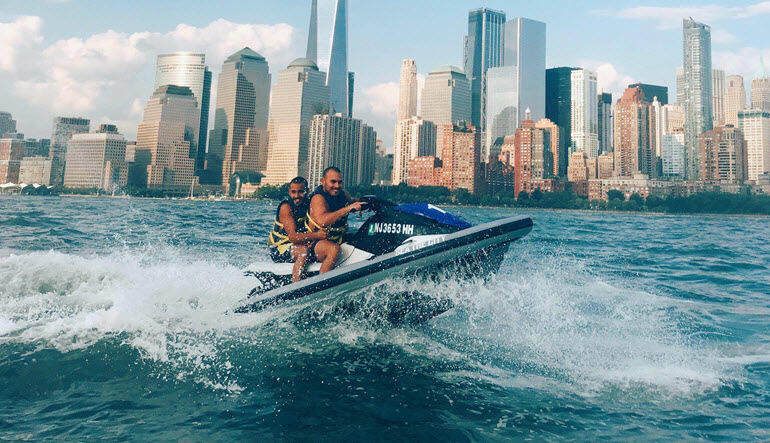 Warm weather in New York brings everyone out to experience all the city has to offer and there’s no more unique way to see the city than via jet ski! 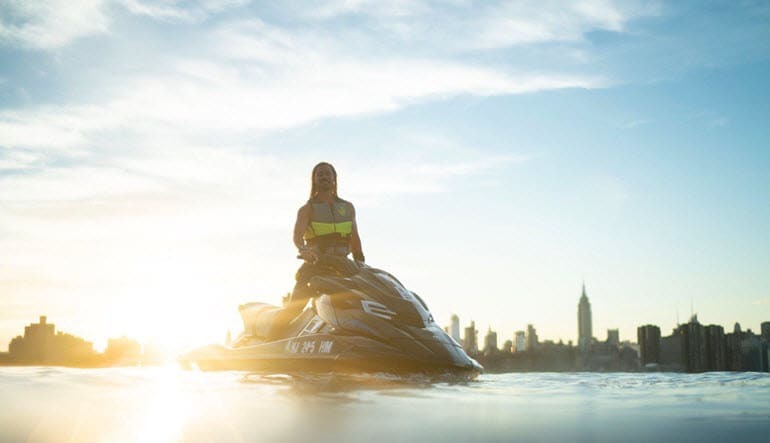 Warm weather in New York brings everyone out to experience all the city has to offer and there’s no more unique way to see the city than via jet ski! 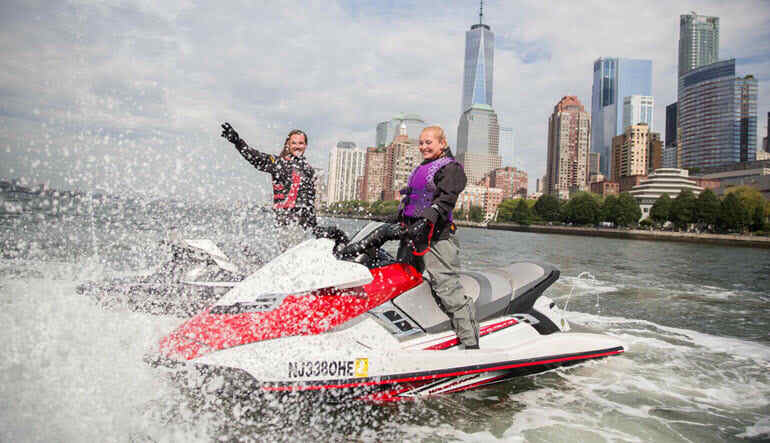 This jet ski tour of New York gets you acquainted with world famous Big Apple sites, all while offering a thrilling marine jaunt with you in the driver’s seat. After a brief training and safety instruction, you’ll take the controls, hit the throttle, and follow your guide from Manhattan and the lower harbor to the Statue of Liberty for hours of sightseeing fun. After that, you’ll head up the Hudson River for even more great photo opportunities. And while the ride is certainly fast paced, you won’t feel rushed: two-and-a-half hours of jet skiing gives you plenty of time to take it all in!